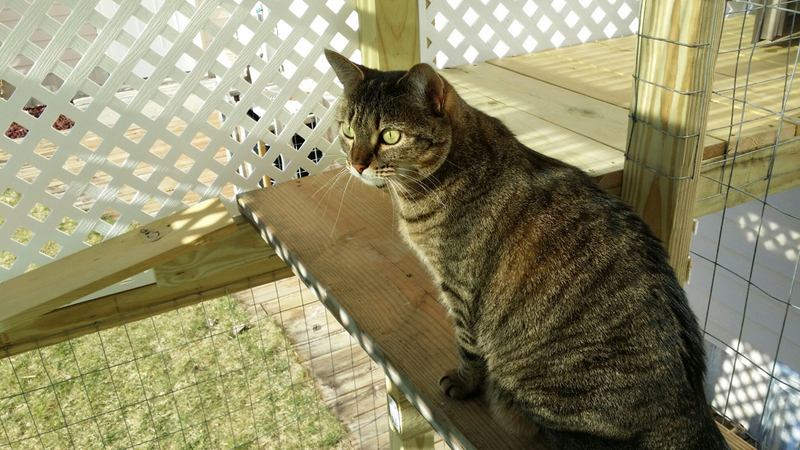 Intelligent, impertinent, and sometimes snuggly, Miss Bean exudes personality. At nine years, she is the old lady of our cats. On the left is little Miss Bean just a few days after I rescued her. On the right is Miss Bean now. She still likes to look out the window. 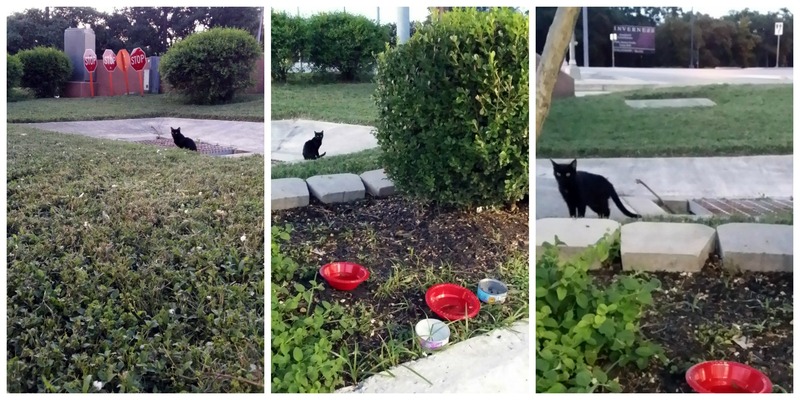 A stray on the campus of the private school where I taught in San Antonio, she was pulled from the rosemary bushes by the maintenance staff in 2006. The school policy on cats was to call animal control, so I asked the guys to hand over the kitten to me. She was so tiny that she needed to be bottle fed, so, for weeks, she came to school with me, at first just sleeping and eating in a crate in my office. As she became more mobile, she pounced around the art room, posed as a model for drawing, and sometimes, caused chaos. 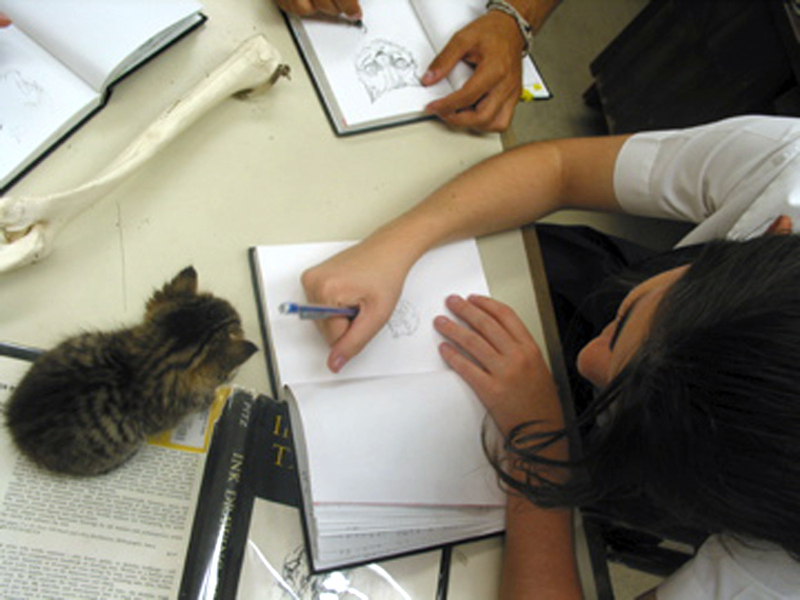 The wee Miss Bean was a daily fixture in the art room when she was a kitten. At home, she never really socialized properly with the other cats. There was a time when she was being catified by Cleo, one of my older calicos, but Cleo became ill and passed away, leaving Bean without a mentor. Miss Bean positions herself where she is the most comfortable. Occasionally, Bean still has difficulties relating to the other beings. I understand that bottle fed kittens are notorious for bad behavior. Bean has her moments, but under patient direction, constant reassurance and training, she has become a wise, mellow, somewhat snuggly friend. 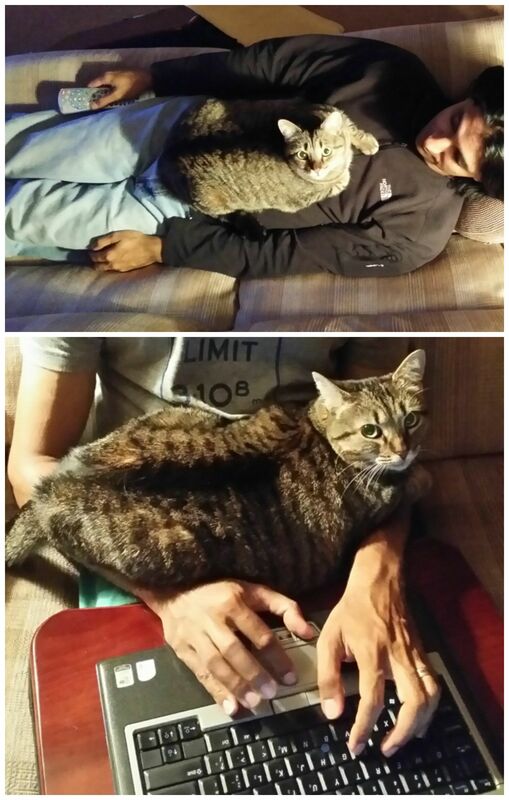 Bean especially likes to spend her down time perched on my husband. On the shelf in the Tabby Shack surveying the neighbors. I am really bonded with Bean, I guess because of bottle feeding, and the extra special care she’s always needed. She has exquisite, multi-colored fur, a white kisser, and black, black feet bottoms. Bean can really be a sweet cat once you know to be gentle, and watch for her communication. I can’t believe I’ve lived with Miss Bean for nine years already! She’s definitely been worth the trouble. Vera is part cute, part playful, part scaredy cat, and part lap kitty. We found her in a bush outside of a hair salon parking lot one evening when we were out for a walk. 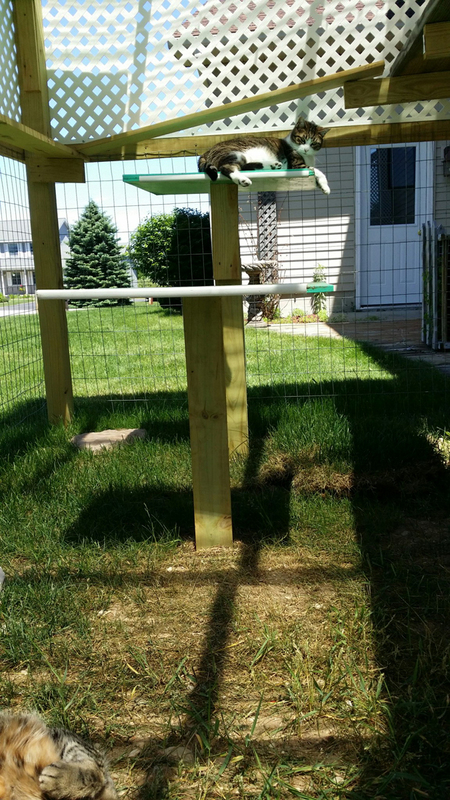 We couldn’t see her, but we could hear an insistent, high-pitched, staccato mew…mew…mew. She was very skittish and skinny, hiding deep in the bushes. My husband ran home to get a carrier and a little cat food. We put the carrier down with the food in it near the bush, and waited…for about two seconds! She went running in to the carrier, we closed the door and took her home. 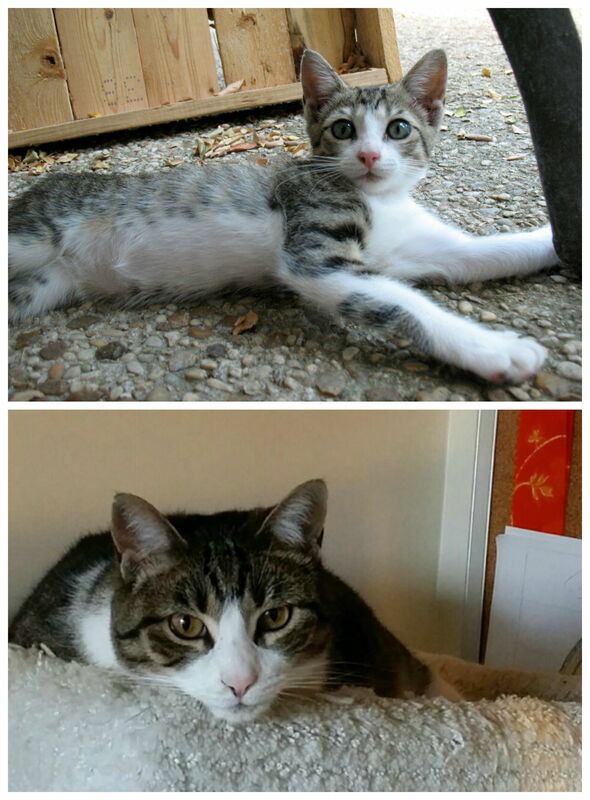 The top photo is Vera just a couple of weeks after we brought her home. The lower photo was taken this winter in my studio, eight years later. 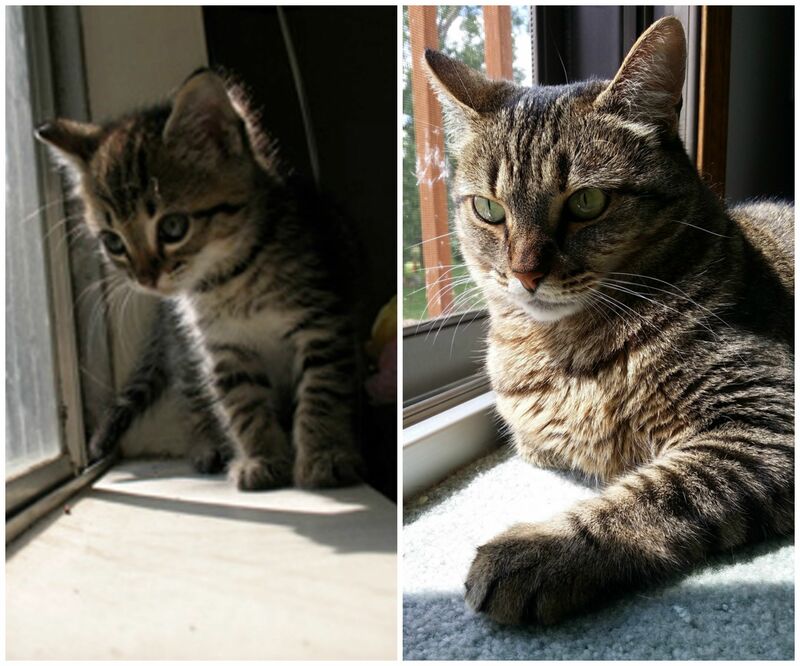 She is now seven years old, and hasn’t changed much at all. She’s the cat that our guests almost never see because she hides until she deems you a safe friend. She loves to be up high. From lap kitty to garden explorer. She’s often found on the fridge, hanging out on a shelf, or in the back of the studio closet. 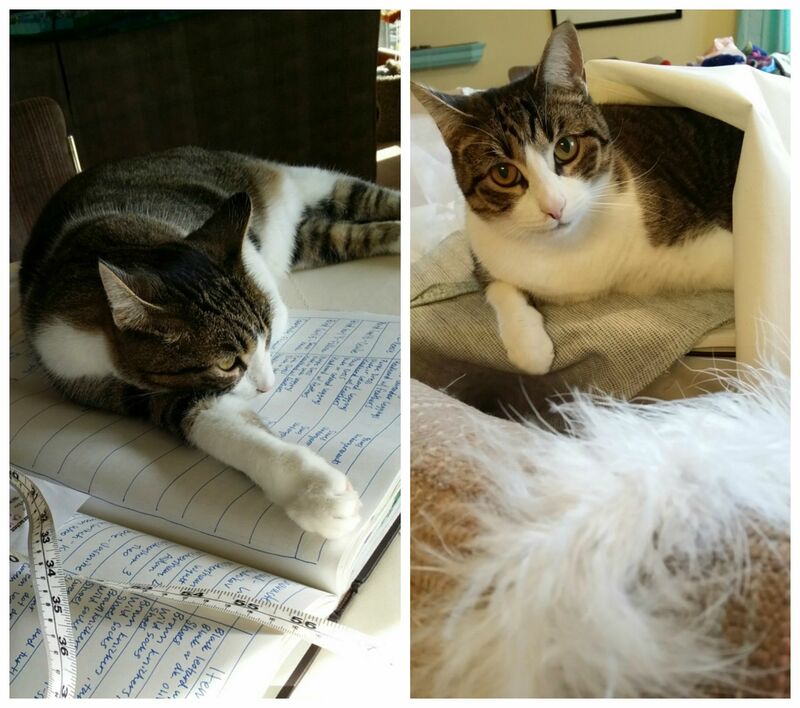 Vera is the most helpful when I’m working in my studio. She offers advice on (a.k.a. lays on top of) my projects. But mostly, she just wants to have lots of scruffs! This is how she helps me when I’m working in my studio. Panama City is sprawling and modern with amazing architecture, stunning tropical vistas, and a lot of history. Panama City also has an alarmingly high stray animal population. With lazy, unkempt dogs visible in every part of the city, I knew there had to be stray cats, but where? I’d seen a single, sneaky cat in an alley near a grocery, one under a car near the fish market, and a couple of scrappy cats in the old part of the city. But, it wasn’t until our final night that I found the lair. Grocery, fish market, and apartment dumpster cats in Casco Viejo, Panama City. We were strolling in the linear park along the Pacific Ocean looking for raspa when I saw a petite, mewing white and calico kitty perched on the seawall, along with at least 20 of her friends! There were feral cats sneaking in the bushes, lurking on the rocks behind the wall, and many just out in the open. They were looking for handouts, endeavoring to be approachable in hopes that someone would toss an edible morsel. Some of the cats were people-friendly and would scruff on someone’s leg or take a pet on the head. Most were dubious, and darted a safe distance away upon being approached. 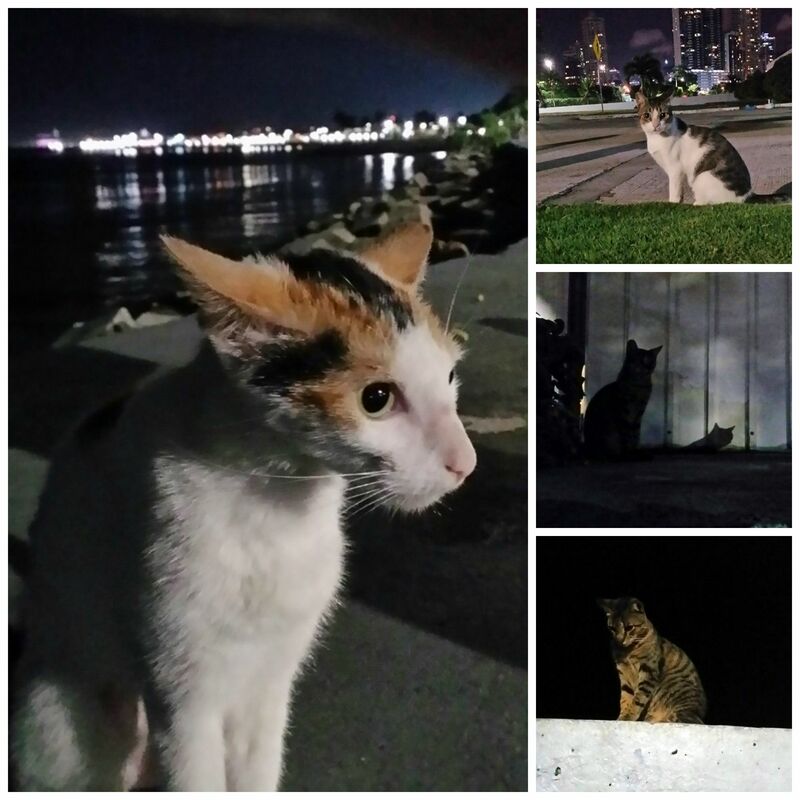 A collection of the sweet, feral cats I bonded with at the marina in Panama City. I discovered that these cats are part of a managed colony run by kind people at an enormous city marina. When I asked the night guard how many cats he thought lived at the marina, he laughed. Too many to count. Too many to count. 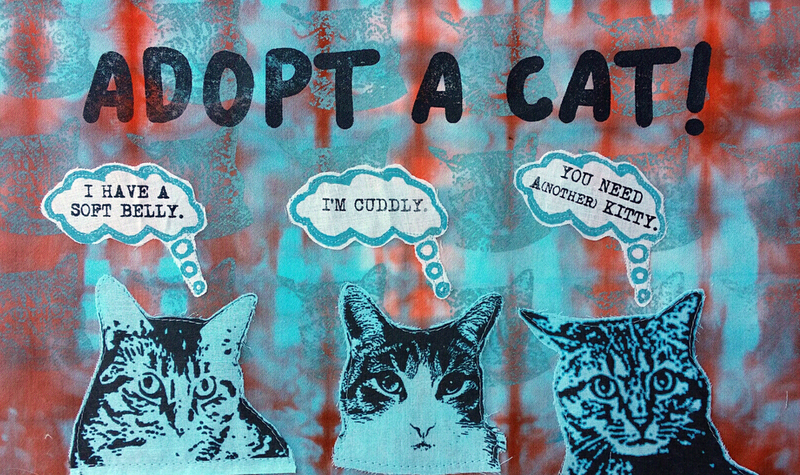 That basically encapsulates the stray population, in general. Too many dogs. Too many cats. A problem that humans created, and are now trying to manage through education and sterilization, while struggling to provide basic food and care for the uncountable. Drawings in my sketchbook of just a few of the feral cats I met. And yet, help comes. Of all of the cats I encountered, I could tell they were being fed, as evidenced by piles dry cat food scattered on the pavement. Almost all had a clipped ear, the sign of having been spayed or neutered. 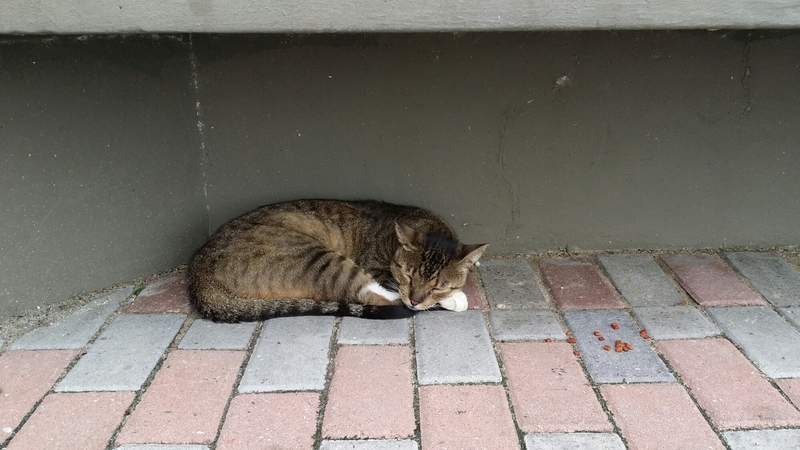 A cat here or there needed serious personal grooming, but mostly they seemed adjusted to their lives in the tropics, resting on a seawall, enjoying the cool ocean breeze. Before he came to live with us, Garfield was a neighborhood wanderer who enjoyed lounging in the neighbor’s driveways. Originally abandoned, he was left to fend for himself in our suburban South Texas subdivision. Garfield was one popular gato, and everyone on the street knew him. Some would give him treats when he made the evening rounds. 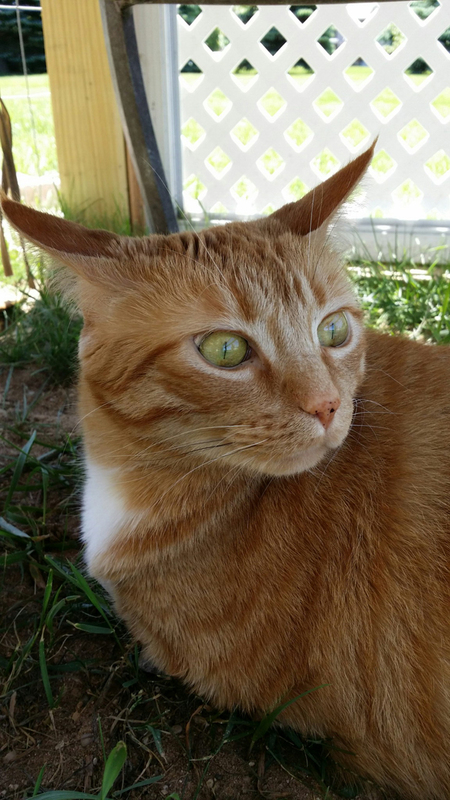 Eventually though, Garfield decided he liked our backyard best, and we would find him asleep on a patio chair, ready to take scruffs on the head. It seemed natural the he would join our cat posse when the elderly couple who fed him moved away. After his history of abandonment, and the fact that he had adopted us, it was inconceivable that we would leave Garfield behind when we decided to relocate. Left: My Big Orange Friend, Garfield. Right: Some of the signs we plastered around the area in hopes of a call for his return. The night that Garfield disappeared, we had only been in the new house for a week. We were busy organizing, and unpacking until late. Our best guess is that Garfield wandered out of a door that was not properly closed all of the way. No human noticed he was missing until well after dark. 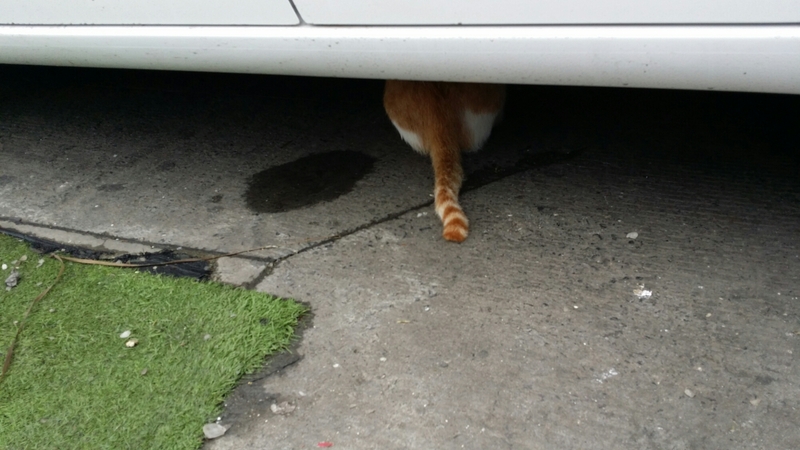 Despite an exhausting and emotional search that lasted for months, we never saw Garfield again. Left: Small garden with cat nip located near the Tabby Shack. Center: My skirt complete with Garfield pocket. Right: Memorial lantern launch in remembrance. This year, at the one-year mark of his disappearance, we made a small cat nip garden next to the Tabby Shack. I sewed a Garfield patch, that I printed, onto a skirt. 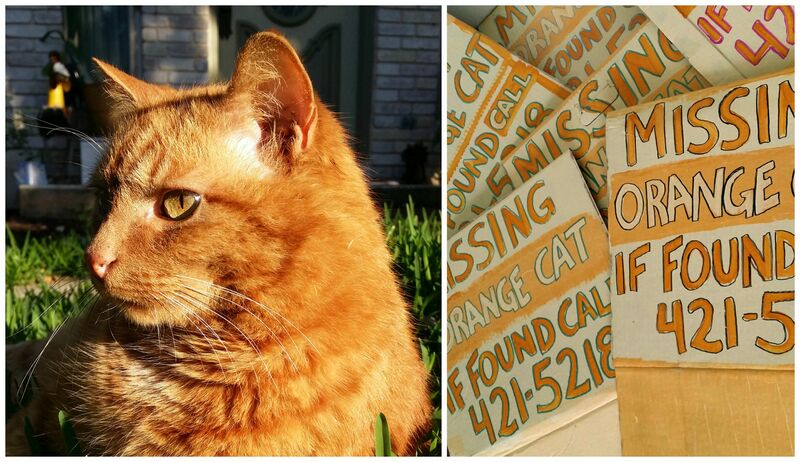 And, after dark, we launched nine orange and yellow lanterns in honor of Garfield’s nine lives, and the 9 years we spent knowing him– 5 years in our San Antonio neighborhood, and 4 official years with us. I am still sad and sorry. I hope that Garfield is getting lots of love wherever he is. May he turn up in the old neighborhood in San Antonio, begging for treats. Here are some Spanish-speaking street gatos I spied in Panama while on holiday. I will post more later about Los Gatos de Panama. 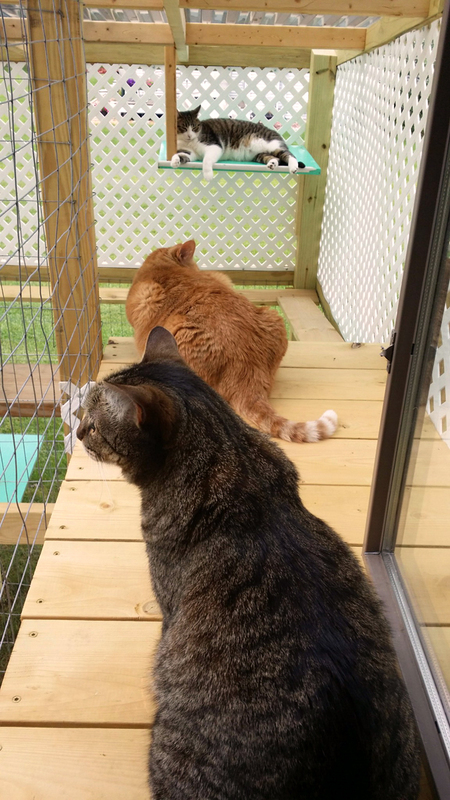 Sometimes, there’s a wait to get into the Tabby Shack. Such is life in the Tabby Shack. 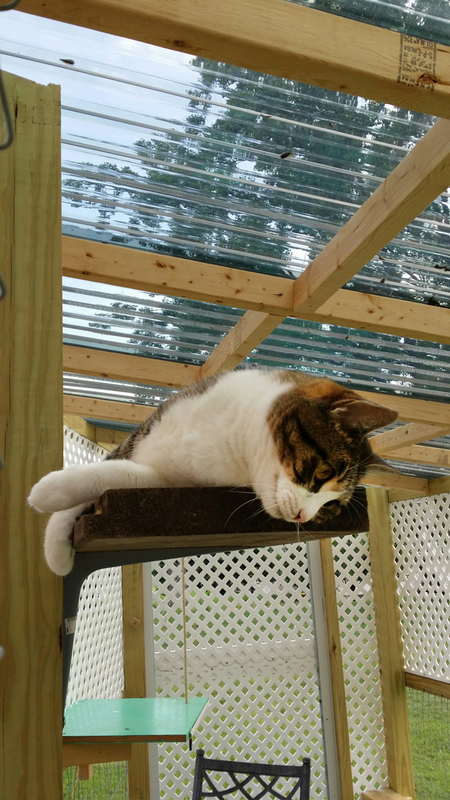 Bean, Vera, and Lucy spend their days lounging about, spying on the neighbors, and enjoying the summer weather. Vera in repose on the upper pedestal. 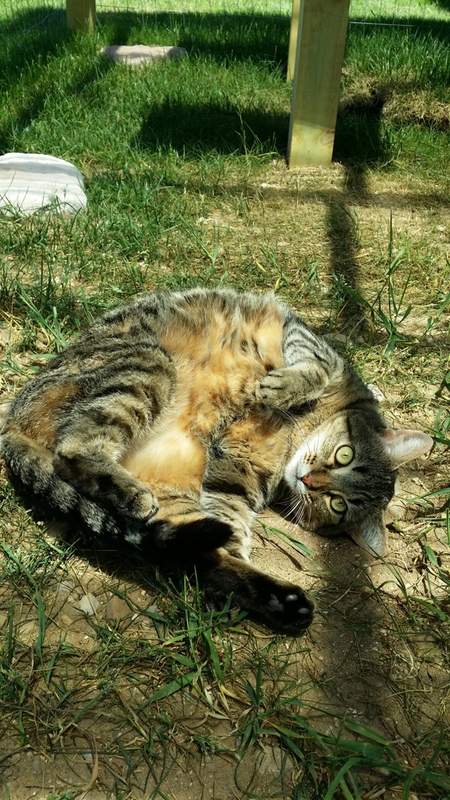 Bean likes a good roll in the dirt. Vera watches the antics on the ground.